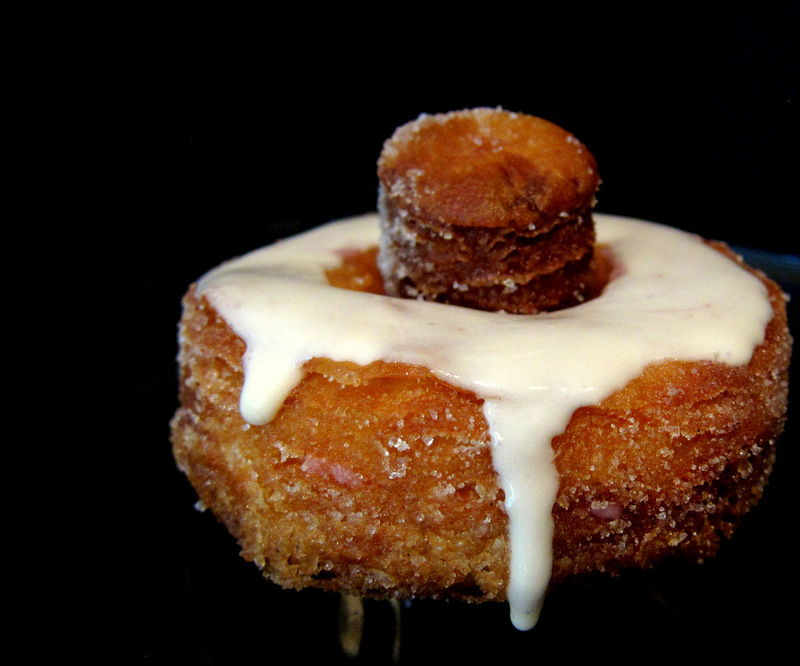 According to Chef Dominique Ansel when he created the Cronut he had no clue it would be such a huge phenomenon. 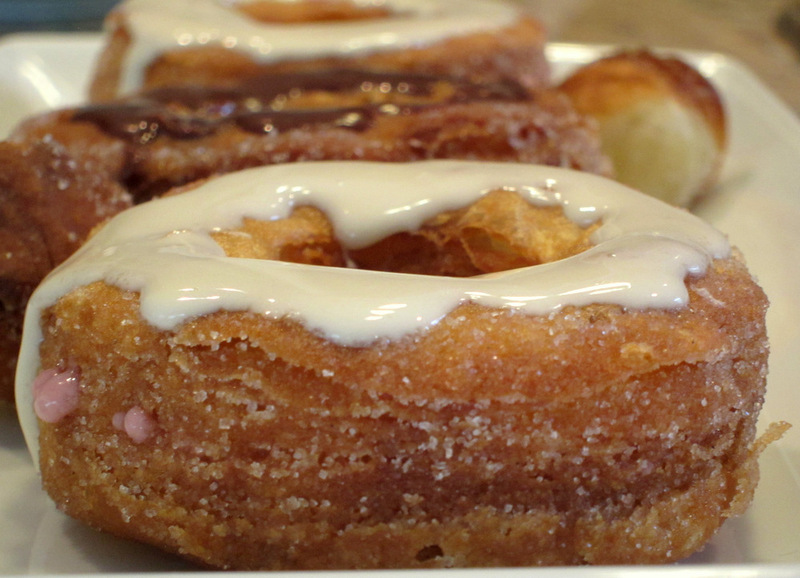 He wanted to put a donut on his pastry shop’s menu and figured he’s put a spin on it, thus the Cronut was born. 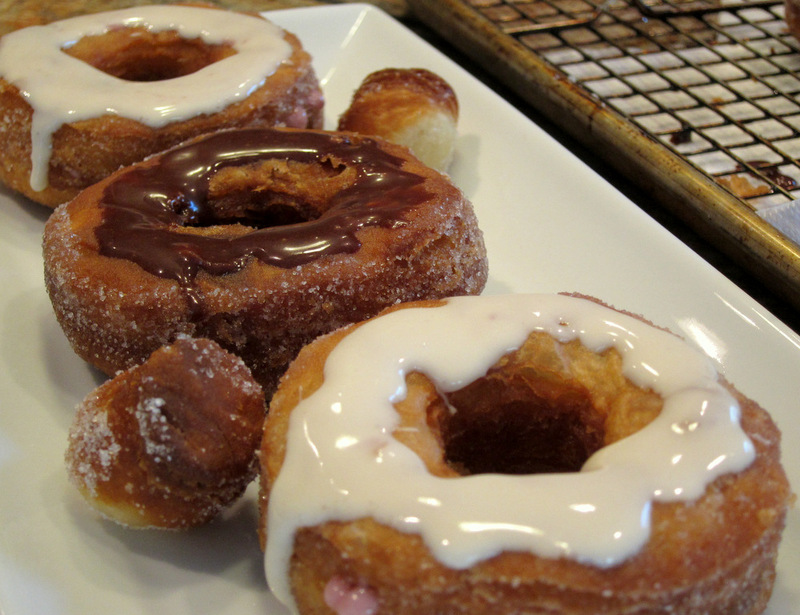 If you have never heard of a Cronut (never heard of it?? Have you been living under a rock?!) 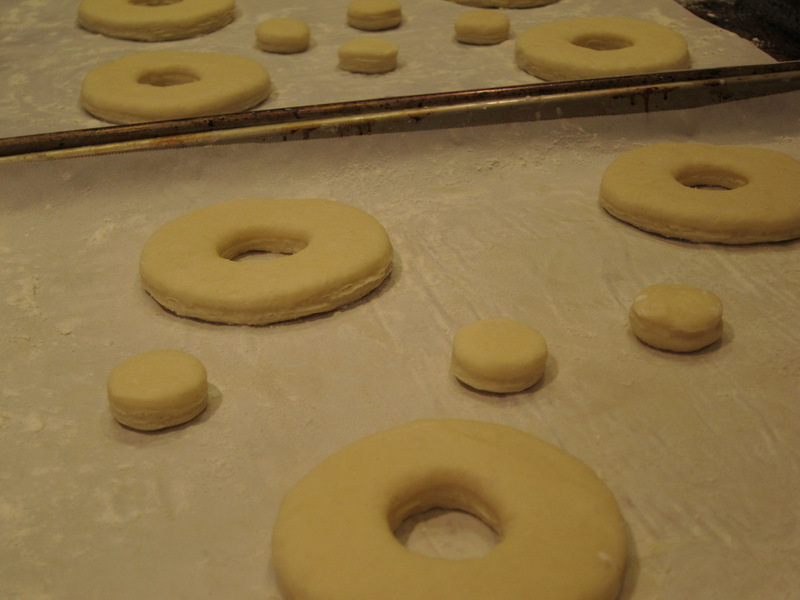 it’s a pastry that combines a laminated croissant dough with the shape and cooking process (frying) of a donut. 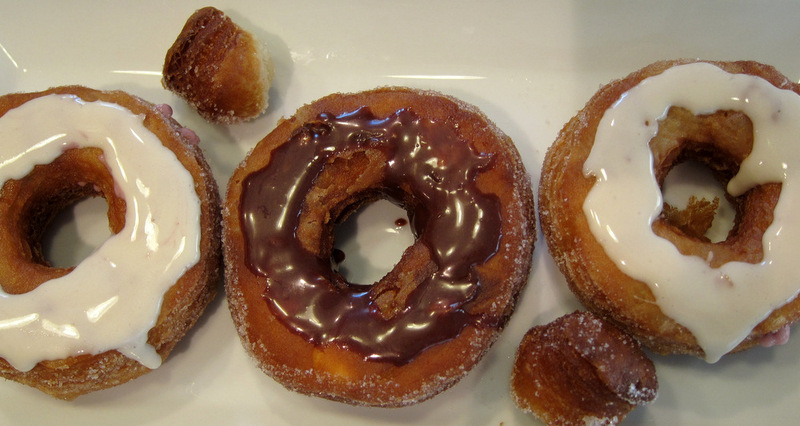 In his book, The Secret Recipes, Ansel pens down the various creations that made his shop in NYC so popular including the Cronuts. One of the smartest business moves that Ansel did is to trademark the name “Cronut” so now you see a lot of knockoffs out there but none bear that name at least in the US. This is simply a smart business move and he claims that the recipe itself is not really a secret and he lays out a version of it in the book. I’ve made a quiet a few laminated doughs like puff pastry, danish and croissant dough recipes over the years so I was pretty comfortable working with Ansel’s pastry. If you have never made one of these doughs before it might be a bit more of a challenge to get the Cronuts right on the first try. 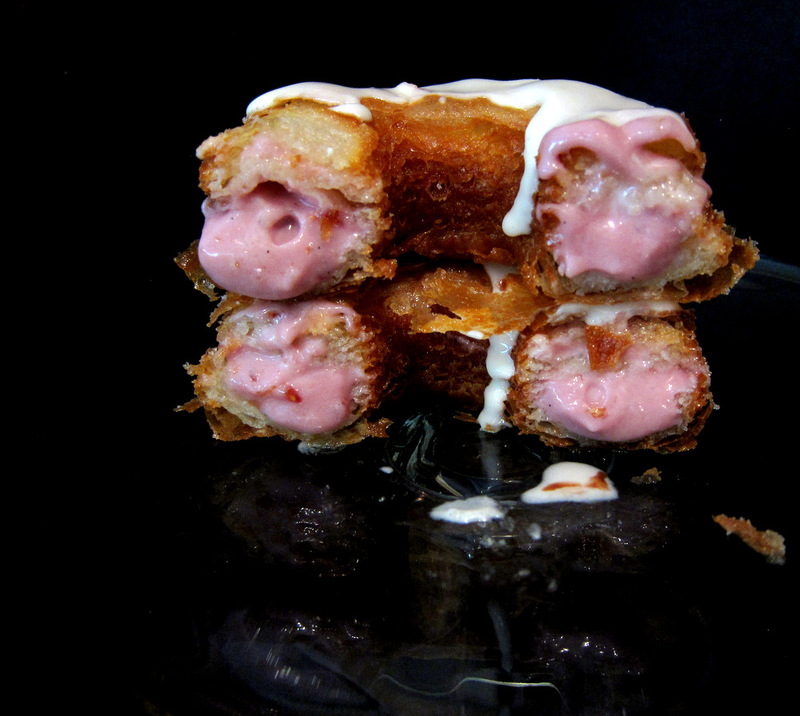 One mistake with my version was not to roll the donuts thick enough in order to get more lofty Cronut. The recipe as outlined in the book takes a total of three days, but really most of it is the dough cooling or resting or proofing in the fridge. 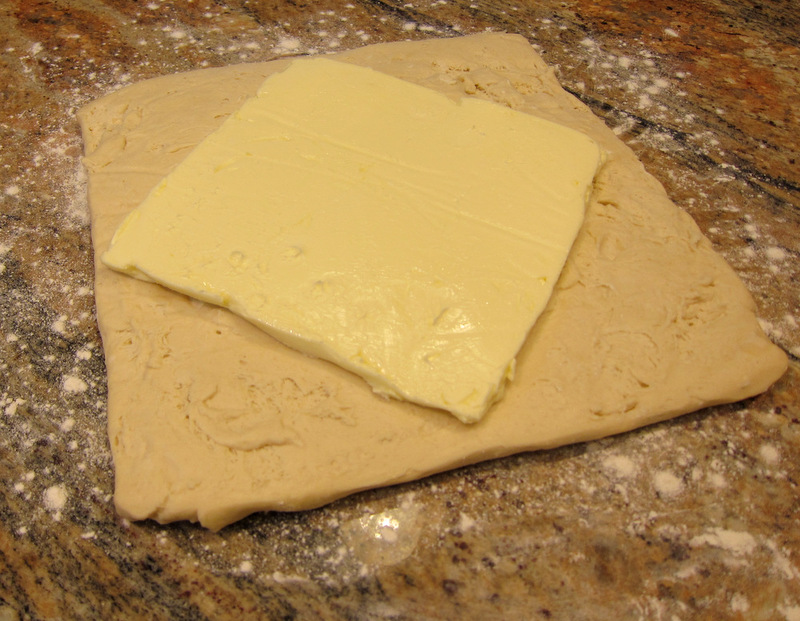 To make the dough, a hefty square of butter is encased in a yeasted dough and rolled several times and folded. This is done more in the style of puff pastry rather than croissant since the butter block in laid on the dough in a diamond shape as opposed to having its sides parallel to the dough. 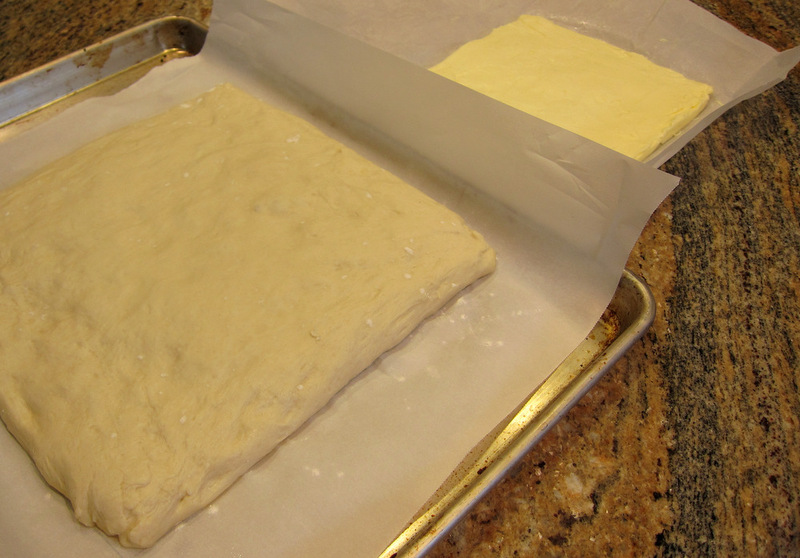 After several rolls and folds we get a dough with lots of butter/dough layers. When the pastry is fried the water in the butter turns to steam and lifts the dough layers creating the flaky texture that is the hallmark of these pastries. On the day of frying, I rolled the butter laminated dough and stamped out donut shapes from it. Now, Mr. Ansel does not tell us what to do with the donut holes we get from this process. I was not throwing them away so they got proofed next to the Cronuts. I fried them up as well and rolled them in vanilla sugar. 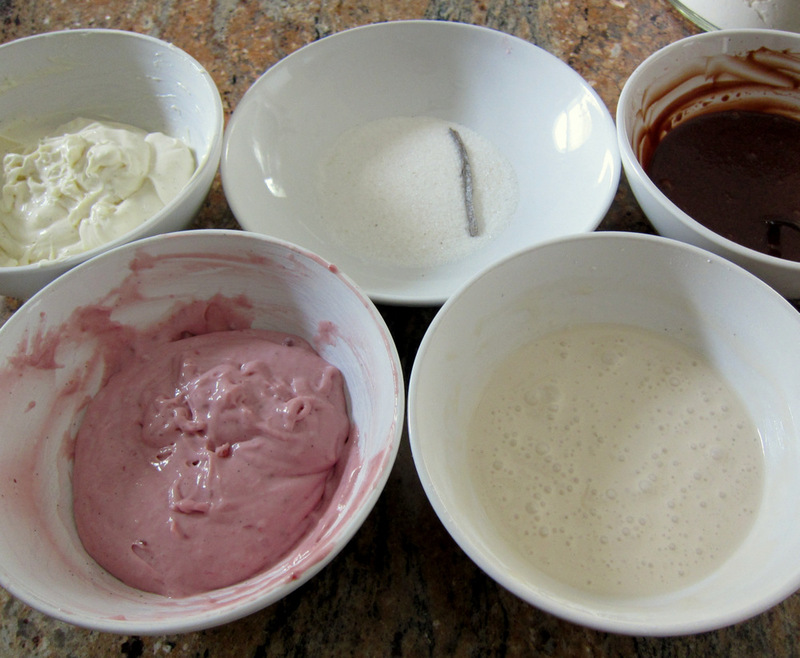 While the dough was resting and proofing, I made the fillings or ganaches. These are very similar to what Pierre Hermè uses for his lovely macarons. They are basically a type of mousse based on white chocolate and heavy cream, flavored with anything from lemon to chocolate and set with gelatin. I like those a lot because they deliver a bright flavor without being overly sweet or heavy. I prepared two different fillings, one with raspberry jam folded in and the other one a simple vanilla bean flavored ganache. 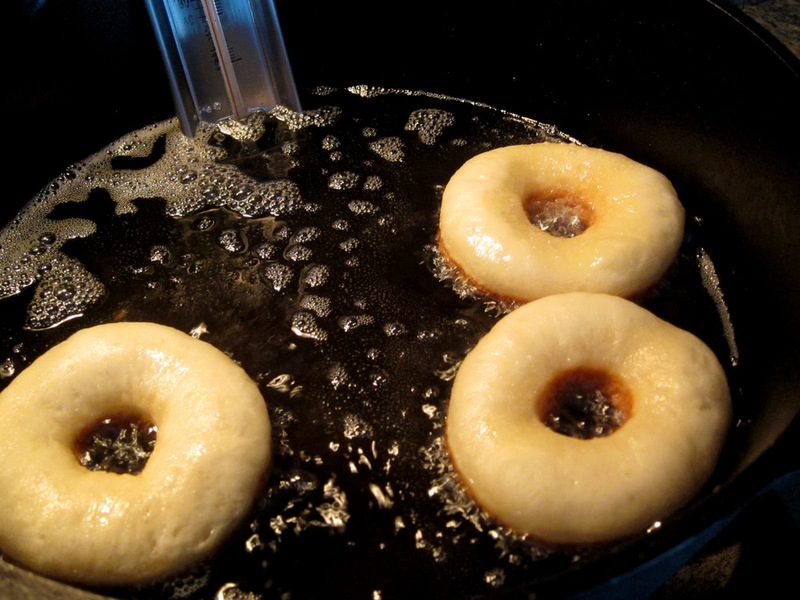 After frying the Cronuts their sides are rolled in a vanilla sugar mixture. 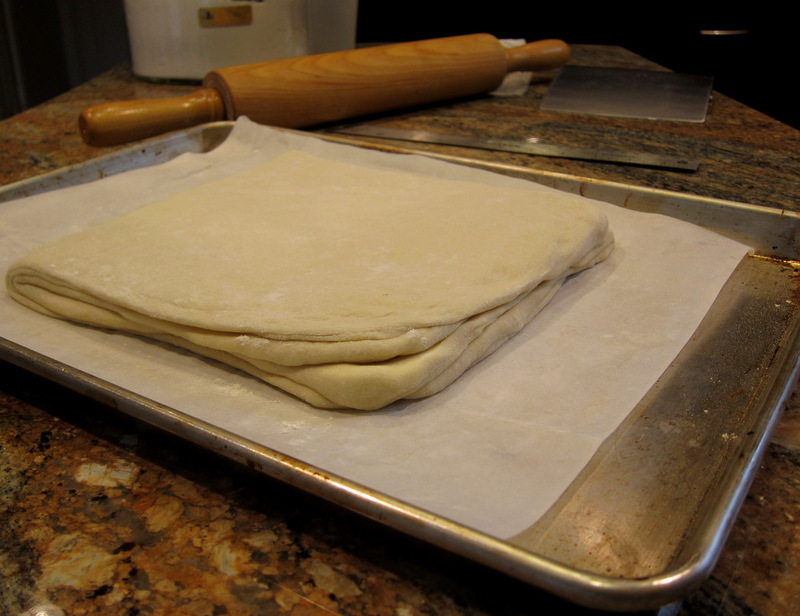 Then the filling is piped in from the top of each one in four spots. This leaves you with holes on the top, so to cover these up Ansel matches a glaze with each pastry that goes right on top. It does not hurt at all that the glaze adds a bit of flavor and looks great too. I created two glazes, the chocolate one went on the vanilla-filled Cronut and the vanilla one went on the raspberry pastry. I am not a huge donuts fan either Stefan. These things though are much closer to a flaky and tender croissant than a donut. They are a bit of work, but fun to make and really delicious. That sounds good. I’ll have to remember to make them on a rainy day in winter.